Economy Bed Rail - SHIPS FREE! 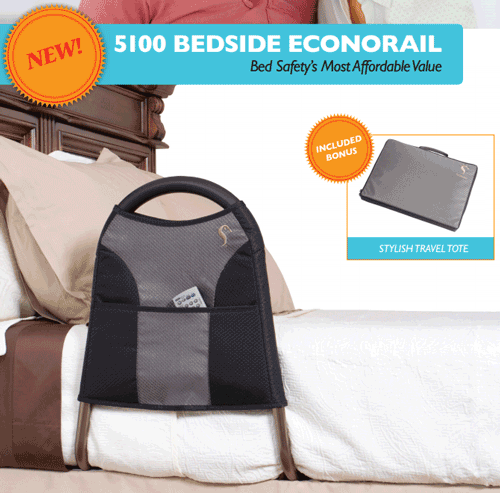 Bedside Econo Rail is an affordable Assist Rail made by Stander for hospital beds or standard beds to help people transition in and out of bed safely. The Stander EconoRail is the smallest Bed Rail currently on the market. Constructed of aircraft-grade, hardened anodized aluminum, the EconoRail weighs less than 2 pounds but supports over 300 pounds. The Econo Bed Rail functions as a sturdy Bedside Assist Rail for mobility patients. The full size cushioned handle provides a steady hand hold. The Econo Rail includes an organizer pouch to keep items close-at-hand. 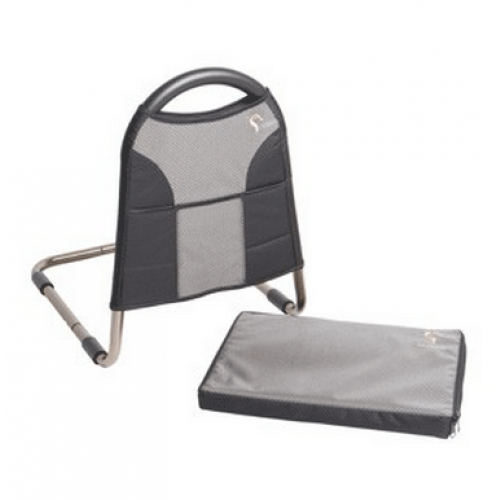 The organizer pouch converts into a handy carrying case to use for traveling after the Stander Econo Rail is collapsed. The Bedside Econo Rail installs on any home or hospital bed in less than two minutes as show in the video below. Strong - made of aircraft-grade hardened anodized aluminum. 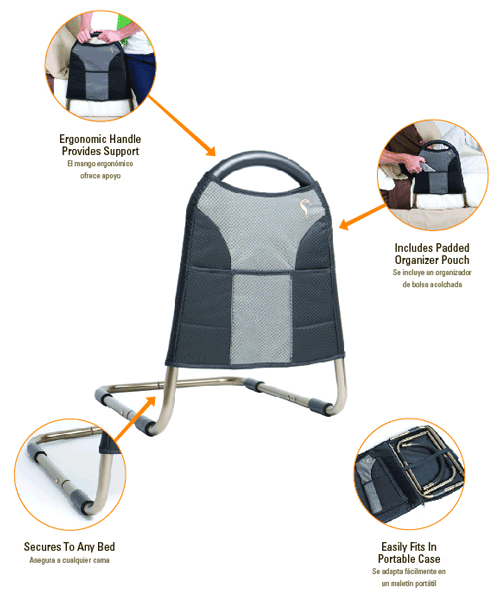 Lightweight - weighs less than 2 pound and supports up to 300 pound. 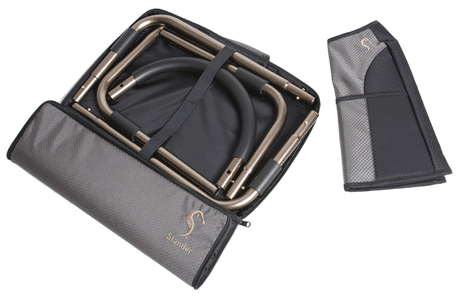 Collapsible - Fits in small spaces, even carry-on suitcases. Portable - goes anywhere with stylish travel tote bag. 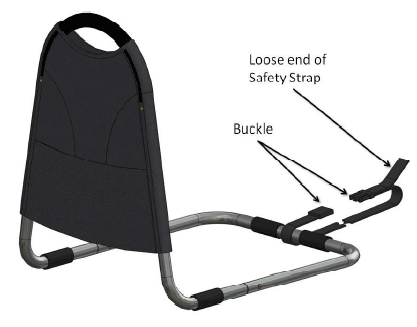 No-Slip Grips & Safety Strap secures rail in-between mattress and bed frame. 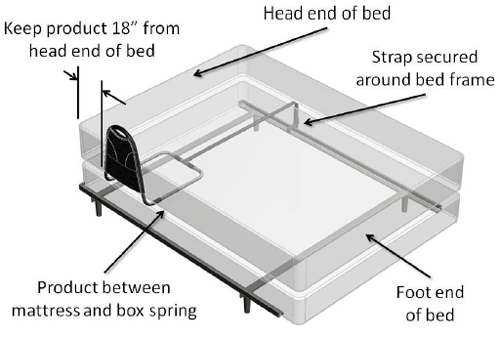 Universal height accommodates any hospital bed or standard bed. 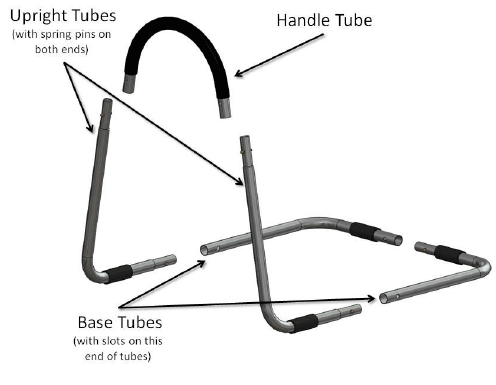 Snap Together Assembly installs in seconds with no tools required. Handle Width: 16" at base, 12" at top. Base Dimensions: 20" deep x 16" wide. Stander Bedside EconoRail Warranty: 1 year. This has been a life saver for my husband to help getting in and out of bed. He has had 3 knee surgerys and can not bend his knee. This helps him pull himself up to get out of bed. My wife suffered a stroke several years ago and has difficulty getting out of bed. The bedside Econrail has been a great aid for her. And it's stable on our queen size bed without having to use the bed strap. The only inconvenience occurs when making the bed, but that's a small price to pay for the added ease of getting out of bed. You could remove the Econorail and make the bed, but I choose not to. Bed rail was easy to put together and installs in an instant. Very strong and easy to use getting in and out of bed. This is the best looking and well made product on the market. You won't be disappointed. Shipping was fast and well packed. A++++ quality item from Vitality Medical. Thank you.